This car park has 124 spaces and is a mix of spaces. The long stay area is in the rear courtyard. places may be limited due to store shopping. This car park has 18 spaces and is a mix of spaces. a week and is currently open 24 hours. This car park has 18 spaces. The next closest car park from the Baslow direction. straight on into Smiths Island. The first section is short stay and has 120 spaces and a maximum stay of 2 hours. The second section of Smiths Island is long stay and has 450 spaces and a maximum stay of all day up to 6pm. The car park closes at 6pm prompt. This car park has 420 spaces, has no height restrictions and ideal for medium to large campervans. 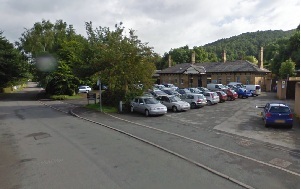 It is the first if you are coming from the Matlock direction. It is on the right just before entering the town. It is deceiving in as much that you might feel you are parking a long way from the town when in fact you will only be a short walk away from the town centre, 2 or 3 minutes. (see the map). Chesterfield Shopmobility provide scooters at certain times of the year. These are available from outside the Agricultural Business Centre. If this is of interest you should contact Mr Chris Wintle on 01246 559331 for further details. This car park is ideal for those planning a trip including a meal and some retail therapy. IMPORTANT : During severe weather conditions the Haddon Road entrance is prone to flooding. 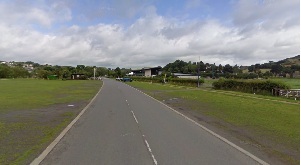 The alternative entrance at these times is via Coombes Road off the A619 which is over the old bridge on the right as you are leaving town towards Baslow. There are two further small car parks as well as any available on street parking. This car park is pay and display situated to the year of the Castle Pub and very close to the town centre but only has 22 spaces. 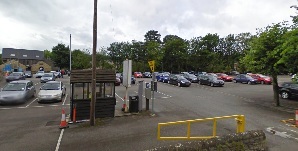 This car park is a pay and display situated 1/3 of a mile at the top of Station Road in the old station and has 25 spaces. 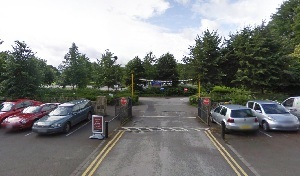 This car park is ideal for those planning to walk the Monsal Trail. The walk into Bakewell is probably around a mile down the hill. So just be aware that the walk back is going to be uphill. FRIENDLY ADVICE ABOUT ON STREET PARKING : If you find yourself parking on street out of choice a fair amount of it is permit only or metered. 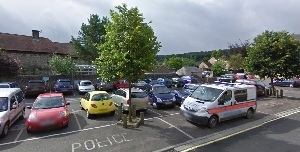 The parking restrictions in Bakewell are regularly and stringently controlled and we would urge you to choose the parking facility which best suits your needs. Please take note of the restriction notices and avoid a fine.